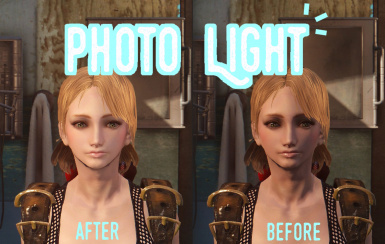 When you were equipped with "PhotoLight", it's possible to make the influence of ambient light a minimum. This is equipment for a player. 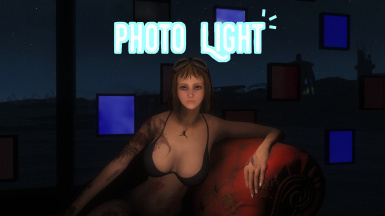 When a player is equipped with this, the effect of the "PHOTO LIGHT" is given to all friendly NPC which enters the sight automatically. In other words, you're freed by all settlers from Hardships equipped with "PHOTO LIGHT" separately. 2.Change the armor slot To 51(ring). 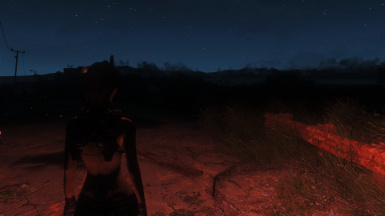 3.Change the chemlab Category To "PHOTO LIGHT" or "PHOTO LIGHT HUD"
1.Add Variable Bright & Color From PipBoy Setting. 2.When sitting down or stelth, Light followed your mam. 2. Not Only Player. But Also corresponding to the NPC! 3. 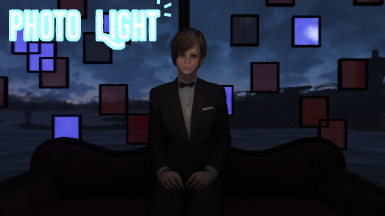 You Can Create Another Bright "PhotoLight"
The person who found a problem make a contact, please. Install new version of this mod. 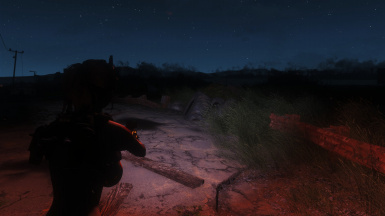 Only Equip "PHOTO LIGHT" To Player or NPC. Slot 51 (ring) is used by default. It's possible to change it to 50 (neck) by an option file. When going in and out of a building, the light goes out. Be equipped again at that time or please try a viewpoint change. I can't elucidate the cause of this problem at present.Sorry.